On September 12 an 18-year-old student of IIT-Guwahati hanged herself in her hostel room; five days later, a final year dental student committed suicide in Hyderabad; and less than a week later, a student in IIT-Madras ended her life. A student commits suicide every hour in India, according to latest data from the National Crime Records Bureau (NCRB). YourDOST, an online counseling service, reveals that 75,000 students committed suicide during the decade 2007-2017 — a 52 percent increase over the past decade. India is facing a student suicide crisis with an increasing number of vulnerable adolescents and young adults finding it difficult to cope with the burden of parental expectations, peer pressure, demands of an exam-focused education system and breakdown of traditional family structures. Yet despite India recording the highest youth suicides worldwide (35.5 per 100,000), there’s a curious reluctance within society, and in particular within the parents community to discuss mental health problems, especially suicide. 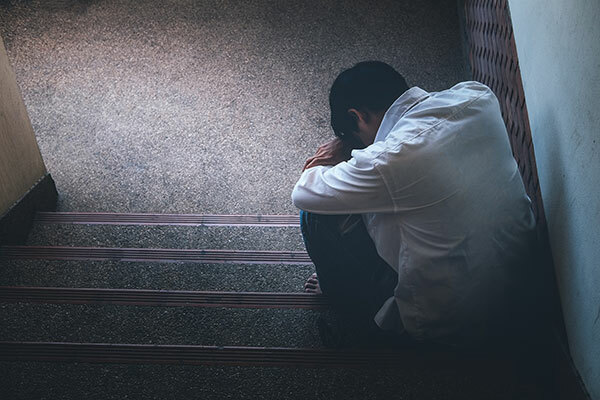 Most parents are ignorant about mental health issues and the social stigma surrounding psychological disorders ensures that troubled teens don’t receive evaluation and counseling. In fact until March last year when the Mental Healthcare Bill, 2017 was unanimously passed by Parliament, attempted suicide was a crime under s. 309 of the Indian Penal Code. The Mental Healthcare Act decriminalises attempted suicide and recognises the importance of mental healthcare provision. Richa Singh, CEO and co-founder of YourDOST, an online counselling service, lists warning signs that parents, teachers and acquaintances should watch out for in vulnerable young adults. • Sudden change in diet and sleep habits. Tanuja Babre advises parents to be observant and vigilant abut behavioural changes, encourage open two-way communication, provide teens showing signs of stress their unconditional emotional support and to proactively seek professional help. “In most cases culminating in suicide, the victims were desperately trying to communicate with people around them. Only when there is inadequate support from parents, friends and social institutions, do they take the extreme step. Therefore it is essential that parents listen to teens non-judgmentally, validate their experiences and make an attempt to de-escalate the situation by inspiring hope. Moreover, all first responders — teachers, parents, and peers — should be trained to have empathetic conversations and provide referrals to professionals. There’s no shame in seeking help from a psychiatrist or therapist,” says Babre. Chandigarh-based journalist Aarti Kapur Singh, who attempted suicide several years ago and now volunteers as a rehabilitator and counsellor with several institutions in North India, concurs. “Attempting or talking of suicide is a desperate sign of help. People who are suicidal aren’t looking for suggestions or advice on how to live their lives; they are looking for someone to hear them out. If someone we know wants to talk to us about their woes, don’t brush them off or be over-reactive or negative. Show empathy — the worst thing to tell people who are on the brink of suicide is that their problems aren’t big and that many people are facing worse situations,” she advises. • Listen to them non-judgementally and with patience. Don’t accuse them of being weak or negative, and that this phase will pass or that these are trivial issues. • Be vigilant, observant and encourage them to share their emotions even suicidal thoughts. • Express and convey to your loved one that she is not alone, and emphasise that you can be reached 24/7 for help and emotional support. • Remove poisonous items and potentially dangerous objects such as sharp weapons from their immediate environment. • Volunteer to fix an appointment and accompany them to visit a psychiatrist, therapist or psychological counsellor. • Ensure that persons experiencing high stress and displaying self-harm tendencies don’t get opportunities to be alone.